How to make your reception photos pop! pop! Want your reception colors and lighting that you spent so much time picking out and getting just right to really pop? Find someone who understands how to use more than just natural light! 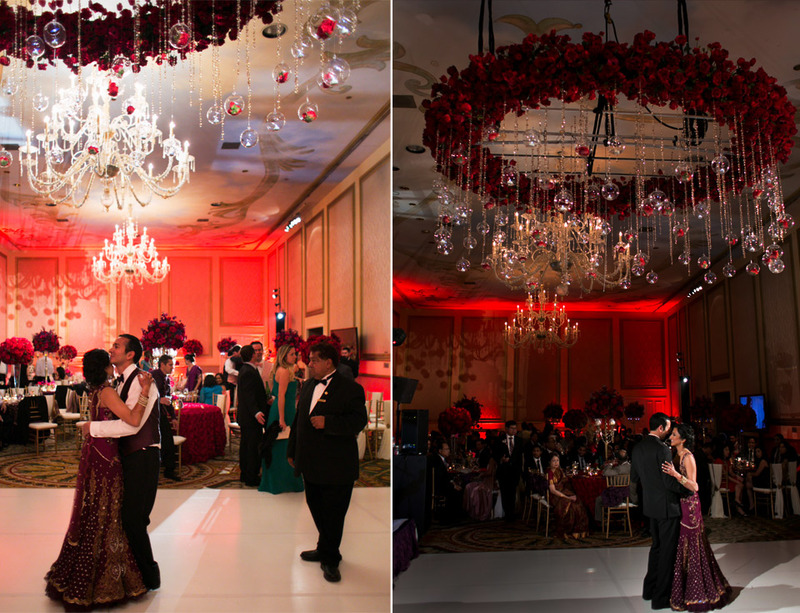 Here’s an example of what a reception hall looks like WITHOUT flash and then WITH an off camera flash. The image on the left was taken without using a flash. This image is exposed for the couple. Notice how the colors are washed out and your eyes wander around the image. This is the last dance while guests are asked to go outside for the exit, so there are a lot of distractions, but compare it to the first dance image on the right and you know exactly where you should be looking. With an off camera flash, I can expose for the room, and let the flash do the work of properly exposing the couple. This allows me to direct your focus on to the couple while keeping the room a deep, intimate red – very much like it was live.